Thank you for visiting our Global Divorce Associates Online Site. The idea of Global Divorces is relatively new to most in the United States, Canada and the UK. When it comes to divorce, it's ..... Do-As You-Are-Told. Get-a-lawyer-lots-of-money-file-with-the-county-wait-30-60days-file-an-appearance -wait-30-60-days----your get the picture. Even if you do it yourself, Pro Se the procedure is the same minus the attorney. This only extends a relationship that has already terminated...and for WHAT! You've decided to get divorced so why must you delay? DON'T WAIT ANY LONGER! Global Divorces are now available at the fraction of cost and times of state side divorces. Now, thanks for your curiousity, whether you decide to use these services or not, at least you'll know something that few people ever learn. I hope you find it interesting and useful. Below is a partial list of services that we offer. For a complete list visit our Services Grid. *Divorce shall be granted by the court in no more than 10 business days. All paperwork certified and returned to client within 2 weeks. Must include marriage certificates and the birth certificates of minors to expedite your divorce action.Add $95 for Express Affidavit Service. *Divorce shall be granted by the court in no more than 3 business days. All paperwork certified and returned to client within 12 weeks. Must include marriage certificates and the birth certificates of minors to expedite your divorce action. Add $95 for Express Affidavit Service. *Divorce shall be granted by the court and client notified in no more than 7 business days. All paperwork certified and returned to client within 12 weeks. 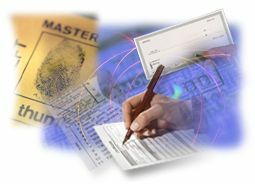 Add $95 for Express Affidavit Service. The FAST divorce service we offer is the GLOBAL DIVORCE ASSOCIATES. It's certified legal and recognized all over the world. It's nick-named the "Celebrity" divorce, because so many celebrities have used it to get divorced faster and easier than they could in the USA. The nick-name also comes from the fact that, until recently, it was so expensive that only celebrities and other people with plenty of money could afford it. US Senators and entertainers like Mariah Carey, Mike Tyson, Robin Givens and others have used it. So can you.Your divorce can be granted! It is legal and simple. The most important ingredient is honesty in the application process. Some advantages of the Global DIVORCES are: FAST AND EASY! Your divorce can be granted in as little as 1 day from the time we receive all your paperwork. All you do is fill out and mail your information. We do the rest! COMPLETE AGREEMENT NOT REQUIRED! Of course you should settle all your obligations and responsibilities by agreement when possible; BUT, a Global Divorce can be granted even when an agreement is not possible. In such a case, it simply restores your status as a "single" person and allows later settlement of all other issues. OK WHEN SPOUSE IS "UNAVAILABLE"! Don't know where your spouse is? No problem! Divorces granted by various states usually require publication in a local newspaper and may take a year or more to be granted. However, the Global Divorce can still be granted based on your statement that your spouse is no longer available. The process takes days - not months. KIDS OK - PROPERTY & DEBTS OK! When both parties agree, virtually all marital issues may be settled by a written agreement called a Marital Settlement Agreement(MSA) which is enforceable through state courts. This includes matters related to custody, support, property and debts. YOU MAINTAIN FULL CONTROL! When you go through state court, all matters are decided by the judge. Even if you and your spouse agree on everything, the judge has the authority to change any agreements you make - and he often does! Dominican courts believe that when two adults agree on matters, the proper business of the court is to simply ratify what has been agreed to. Therefore, YOU retain full control of ALL matters related to custody, property, debts divorceCERTIFIED LEGAL! After your Global Divorce is granted, your Final Decree of Divorce is sent for validation to the Consulates Office. Global divorces are widely accepted and has been used by such well known people as Michael Jackson and Lisa Marie Presley, Sylvester Stalone, Mike Tyson, and many others. INEXPENSIVE! We understand that it's not always easy for a client to come up with $1,890 or more in a single chunk. We also understand that speed is not always essential. Therefore, we have developed a program that allows you to "lay-away" your divorce and make payments that fit your budget while saving money as well. Here's how it works. You mail an initial payment of $1000 or more and we credit the amount to your account. By doing this, you lock in the current lay-away price for the next 12 months. From that time on, you mail in payments whenever it's convenient. We credit each payment to your account until you've accumulated enough to fully pay for your divorce. Since we set up your file and begin your paperwork immediately upon receipt of your first payment, the first $1000 is NOT refundable. However, all amounts paid in excess of the first $1000, ARE 100% REFUNDABLE! Once the full amount is accumulated, we expedite your paperwork and have you divorced within 7 business days from the date we received your last payment. Sound too good to be true? Well, there are some things that you should know. One is that the minimum payment we will accept is $200. Another is that no divorce will be granted in less than 90 days from the date we receive your first payment - unless you choose to revert to one of the "fast" divorces listed above. All accounts are also subject to an account maintenance charge of $5 per month starting with the second month. And that's it! So, if you're sure you want to get divorced but don't have enough money to get started, the lay-away plan allows you to get divorced the easy way - no strain - no hassles - and within a payment framework that you control. We think it's a pretty good deal for folks that have to function on a budget. Speaking of budget, what is the current price for the lay-away divorce, you ask? How is this process legalized? This takes place in accord with the " verification of the Judges signature" with a set of formalities to comply with "International Conventions of Signature Authenticity"
You get a global divorce through the Dominican Republic, any State in the U.S., Canada or any other jurisdiction and it's legal as long as it was properly done according to the laws of the jurisdiction where it was done and it's also considered valid. If you think Global divorce might be for you, your next step is to print the forms listed in the index on this page Forms and fill them out. All Forms must be filled out completely.Forms If you have any questions or need help filling anything out; or if you have a special problem that you would like to discuss, email me or call me and I'll be happy to help. Once the papers are filled out and you feel you're ready to proceed, send them to me by regular mail or express shipment along with your payment. If you are doing a divorce that takes 3 weeks or LESS, you should include a cashier's check or money order for the FULL AMOUNT ...N O C A S H P L E A S E at the time you first submit paperwork. This will insure that your divorce is handled promptly and is granted within the time frame you specify. Make all payments out to "Internet Legal Referrals, Inc.and mail to the address on the forms . After receiving your application, all paperwork will be prepared and forwarded to the Dominican Republic, Mexico or Haiti as you desire so that your divorce is granted on time. After the divorce is granted, the attorney notifies me and I call you. I also send written confirmation of your divorce at that time. The Final Decree of Divorce, after being granted by the court, is then sent to the for official CERTIFICATION. Once CERTIFIED, the Final Decree of Divorce is sent to me and I send it to you immediately after I receive it. Isn't it time to get on with your life? Email your response and get started TODAY! Thank you for visiting our website. You ask a very good question. The answer is, of course it's legal. Legal and illegal, however are terms that are not very relevant. Legal and illegal apply more to criminal law. For something to be "illegal" you have to break a specific law. For instance, if you rob someone you have committed an illegal act by breaking the specific law against robbery. On the other hand, any thing you do which does NOT violate a specific law is considered a legal act. There is no SPECIFIC LAW against getting divorced - in the Doiminican Republic or anywhere else - so there is no question about legality. We think what you intend to ask is this "Is the divorce valid?" - and that's a much more interesting question. The thing that must be remembered here is that we are dealing with an area of CIVIL LAW - NOT CRIMINAL LAW. In criminal law things are cut and dried - you're guilty of you're not guilty. In civil law NOTHING is cut and dried; the only question that applies is "what was the ruling on this single, specific case"? Here's an example that will give you an idea of just how complicated civil law can be. There was a fellow in California who went to Nevada and lived there the required 6 weeks before applying for a divorce. The divorce was routinely heard by a Nevada court that ruled that he met the residency requirements and granted the divorce. Shortly after the divorce, the fellow got married. A short time after that, he decided to return to California. When he got back to California, the wife he had divorced filed suit in California court asking the court to declare his Nevada divorce invalid because he didn't reside in Nevada long enough to indicate he "intended to make Nevada his permanant residence." Now, although the Nevada court had already ruled that he HAD met the requirements necessary to indicate he intended to make Nevada his permanant residence, the California court dissagreed and declared his Nevada divorce invalid. The end result is that, in Nevada - to this day - he is considered divorced from his first wife and married to his second wife. On the other hand, In California, he is considered to still be married to his first wife! In addition, his first wife attempted to have him arrested for bigamy since he was married to her and another woman at the same time. However, the state of California declined prosecution because the bigamy statute is basically a fraud statute designed to prevent people from getting married to a second partner while knowing that a first marriage has not been dissolved. Therefore, it was the opinion of the state of California that the guy was NOT guilty of bigamy because he legitimately BELIEVED he was divorced from the first wife at the time he married the second wife. What a can of worms! So, here's the deal. All the junk (and it is junk because it's really not relevant) that is talked about in the information against Dominica divorce is correct in theory. But all it really says is that, IF CONTESTED, a Dominican divorce MIGHT be declared INVALID. Yeah, well, so might a Nevada divorce, a Canadian divorce or any other divorce - in theory. However, the assertion that Dominican divorce is generally not valid or accepted, is just pure bull. Sure, there are some court cases where a specific court, on a specific day, for a specific case found that a Dominican divorce was not valid. However, there are also numerous cases where a court ruled that the divorce was valid. But the fact is, that thousands of Dominican divorces are granted every year, go uncontested and are routinely accepted as valid. We have had clients present a Dominican decree to IRS, Social Security, Immigration and Naturalization and about every other agency and jurisdiction you can name and have the divorce acepted with NO PROBLEM. So what's all the controversy about? It's about theory - the kind of thing lawyers just love to argue about. See, in civil law, you can argue a case from any position and you can always sight previous court cases where the court decided the issue in your favor because, if it's a question that's been around for awhile - like Dominican Divorce has - there are always hundreds of court cases that were decided pro and con. That's the nature of civil law. Now, in the real world, it works like this: You get a divorce through the Dominican Republic, any State in the U.S., Canada or any other jurisdiction and it's legal as long as it was properly done according to the laws of the jurisdiction where it was done and it's also considered valid. In the case of the divorce I do through the Dominican Republic, the Consulate even attaches a statement that says the divorce is worthy of "Full Faith and Credit". At that point it's as valid as any other divorce. And, if no one ever challenges the divorce in court, it remains forever valid. But what happens if someone DOES challenge the validity of a specific Dominican divorce? THAT'S when you get into the whole can of worms called civil law. Anything can happen - whether you're talking about Dominican divorce or German divorce or any other type of legal action. The point is, that Dominican divorce is just as valid - not more so - not less so - than a divorce issued by any other jurisdiction. They can all be challenged and a court can rule anything the judge decides is correct on that particular day for that particular divorce. However, that particular decision DOES NOT effect any other divorce - only the one being challenged. Okay, so you get a legal, Dominican divorce which, in the opinion of the US Consulate in the Dominican Republic is a valid and worthy of "Full Faith and Credit" . . . that remains the case forever - unless somene wants to male a big deal and argue it in court. That never happens with 99.9% of all Dominican divorces and the divorce is routinely honored under COMITY (by the way, the assertion that a state is not REQUIRED to honor the divorce under comity is correct; what they don't tell you - and therefore mislead you about - is that states almost always DO accept Dominican divorce as kind of a courtesy). Anyway, back to challenging Dominican divorce. Who can do that? The answer that any agency or jurisdiction that it's presented to can say that they won't accept it or that they believe it's not valid. That however does NOT make the divorce invalid - it just means that they don't accept it - it's still valid in EVERY OTHER JUSRISDICTION and EVERY OTHER SITUATION. But the only way to have the divorce actually declared invalid for all purposes is to file a court case and have a judge decide. Basically, there are only two people in the whole universe who can do that: you and your spouse. If you spouse signed and agreed to the divorce, there is actually only one person who can ask for a court decision and that's YOU. Why, because under the fairness doctrine known as "Estoppel" your spouse is precluded from challenging the divorce since she previously agreed to it. So, who can create a problem? You. But why would you want to? Just take your decree when you receive it and proceed as if it was granted by any other state or jurisdiction because it's just as valid. The odds are better than 99 out of a 100 that you'll never have a problem. In the extremely unlikely event that you do have a problem and a court rules your divorce not valid, than we will honor our guarantee that's a part of the contract you signed. We should, however, like to say once again that we have never - out of hundreds of Dominican divorces done over a nearly 12 year period - had a court rule that a divorce was invalid. So relax. Forget the theoretical world of civil law where any kind of a ruling is POSSIBLE. In the real world, as of right now, you have a 100% legal and valid divorce. It's extremely unlikely that anything will ever occur to change that fact.